Beveridge & Diamond is proud to sponsor the National Bar Association (NBA)’s 93rd Annual Convention & Exhibits, taking place in New Orleans, LA, from July 28 to August 3. 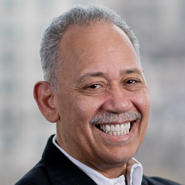 Chairman Ben Wilson (Washington, DC) will speak in a presentation titled "Partners' Perspective: A Close Look at Diversity & Law Firm Economics," which will take place from 10:00am to 11:00am (CDT) during the Corporate Leadership Summit on July 31. Ben also serves as Chair of NBA’s Energy, Environment, and Public Utilities Section, which will host a number of seminars during the Convention.